Join Code Club’s Twitter Chat! 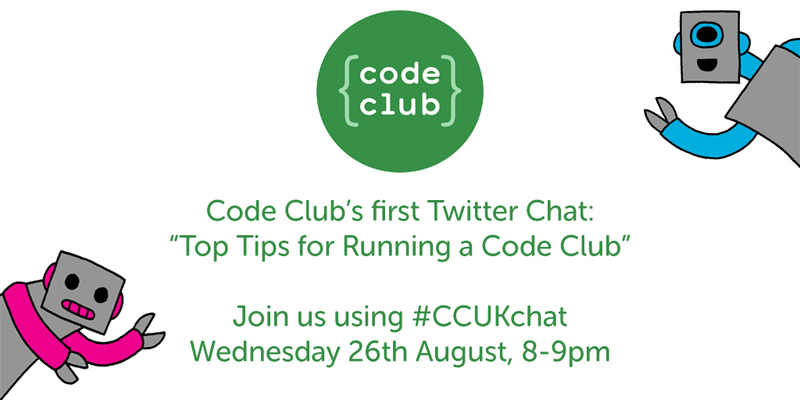 Next Wednesday, 26th August from 8-9pm we’re trying something new – a Code Club Twitter Chat! We’ll be discussing everything from printing projects to crowd control, and if you’re thinking of starting up a Code Club in September, it’s the perfect chance for you to ask some questions and hear some experiences from some of our existing volunteers.